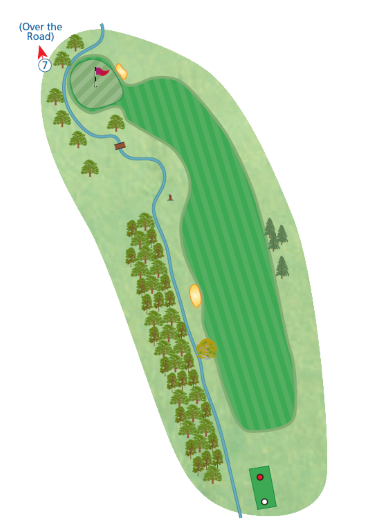 The longer you are off the tee, the easier the second shot into a small green. If you’re not a big hitter keep the drive down the right side of the fairway to give you the best chance into the green. The stream runs round the back of a fairly flat green.